The deputies also disapproved the trial of the Deputy Chairman of the Mejlis of the Crimean Tatar people Akhtem Chyigoz. 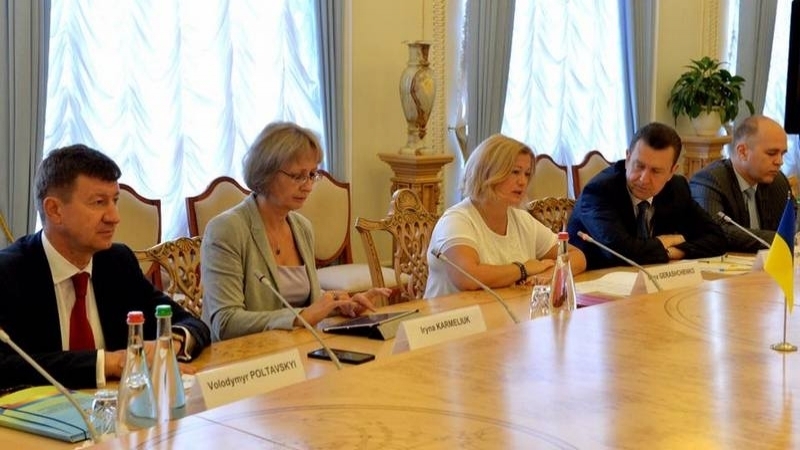 First Deputy Chairwoman of the Verkhovna Rada of Ukraine Iryna Herashchenko thanked the French senators who condemned the unilateral provocative actions of politicians illegally visiting the occupied Crimea. “I informed French politicians about the violation of human rights in the Crimea, as well as today's another trial of Deputy Chairman of the Mejlis Akhtem Chyigoz... They, in turn, noted that France will continue to support the territorial integrity and sovereignty of Ukraine and will never recognize the annexation of the Crimea," Herashchenko said after meeting with the inter-parliamentary friendship group of the French Senate on Monday. As for the visits of individual French parliamentarians to the Crimea, the senators noted that these were personal visits not coordinated with the French parliament. Herashchenko noted that her French colleagues will visit Donbas for the first time during their visit to Ukraine to observe the humanitarian situation in the region.